An odd way, I know, to start a post about Illinois politics. 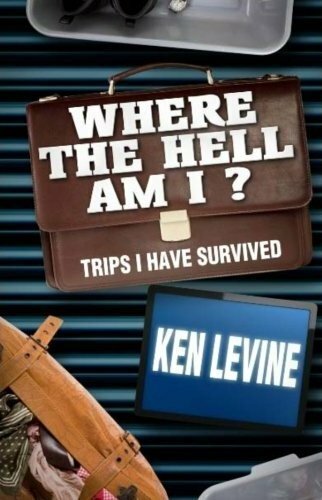 I really would like to buy Ken Levine's book. 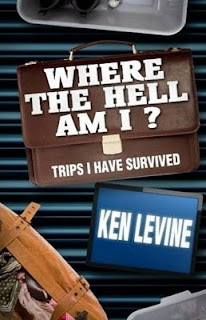 Ken Levine's daily blog, By Ken Levine, is one of my favorite and most frequent stops on the Internet. I'm insanely jealous of Ken Levine. Not only has he written for some of the classic TV comedies (M*A*S*H and Cheers, to name two), he's directed, he's been a rock 'n' roll DJ, a sports radio talk show host and a play by play baseball announcer. In the major leagues. He had to give up his Dodger Talk radio gig this year on KABC because he'll be doing on-air work with the Seattle Mariners. And now he's published a book, "Where the Hell Am I?" Levine's book is available in all those e-book, modern thing-y formats, Nook and Kindle and Kandle and Hook, but I don't have one of those reader things and I'm not likely to get one anytime soon. It is also available in paperback -- I do know how to use a paperback -- but, so far, only from Amazon. And therein lies the problem, and the tie-in with Illinois politics. See, Amazon doesn't charge sales tax to Illinois customers. A lot of Internet "stores" work this way; unless they have a physical presence in Illinois, they claimed to have no obligation to collect sales tax. They may even have been right. When e-commerce consisted mostly of lonely or scary people buying stuff that had to be shipped in a 'plain brown paper wrapper,' no one took notice of the sales tax revenue that the state might be losing. But Amazon is big business now. A lot of people -- myself included -- have bought books or movies from Amazon from time to time. Amazon has even branched into electronics and office supplies and jewelry and health and beauty products and even musical instruments. Who knows? Next week they may start selling groceries. Some people -- myself not included -- have bought a lot of stuff from Illinois over the years. And there was no Illinois sales tax collected on any of it. With Amazon doing such big business, and with Illinois lagging only slightly behind Ken Levine's own California in the bankruptcy department, Illinois politicians are looking at Amazon and scheming on how to get some of that money for themselves. Meanwhile, brick and mortar merchants have become increasingly concerned about 'e-tail' competition -- online customers can shop whenever they please, never have to pay for parking or deal with traffic and get what amounts to a discount on every purchase if the store charges sales tax and the website does not. In fact, just this month Illinois passed something called the "Mainstreet Fairness Bill," to try and force Amazon et al. into charging and collecting sales taxes just like stores at the mall. Who can be against Fairness? Especially on Main Street, right? Illinois would very much like us taxpayers to fork over the sales taxes we didn't pay Amazon going back five years or so. Most Chicago residents hear about a "use tax" when they buy a car in the suburbs. The suburb will have a lower sales tax than Chicago (we're number 1!) and that percentage point can be a significant amount of money when we're talking about the purchase price of a car. The city and state share information -- so when the car is registered (when license plates are obtained) -- the City will find out and demand its use tax. With this in mind, most auto dealers simply tack the tax on the sales invoice anyway. In theory, apparently, every time we bought a book or a movie on Amazon, we were also supposed to be sending in the "use tax" money to the State. Since we don't have to get license plates on books and movies, the State has so far been unable to track who bought what. Nevertheless, they'd like everyone to pay up, please. Now, I don't know about you, but I have no way of reconstructing what I've bought on Amazon over the years. I know it's not a lot in my case -- but I'm taking no chances: I am not buying Thing One from Amazon -- much as I might want to -- until it starts collecting whatever miserable tax the State of Illinois imposes. I don't need the heartache. When I leave the mall with a purchase, I know that the sales tax has been charged. And if the merchant fails to send in the money thereafter, the State goes after the retailer, not the individual purchasers. I'd like that to be the case with e-tailers, too. But that determination will be made -- possibly -- in a court battle between Amazon and the Sovereign State of Illinois. Meanwhile, I'd like to buy Ken Levine's book. Really I would. I know I'd enjoy it. But I'm afraid. And I'm taking no chances. For further reading, see: "Amazon Tax Attacks," by Robert W. Wood (posted on Forbes.com). I am proof of the inequity between online and local retail operations resulting from the sales tax issue. About a month ago I bought a spiffy Nikon DSLR, an extra lens and Photoshop software (which is making me feel stupid, I hate learning curves at my age). I did a lot of research online and in person at Showcase Camera here in Atlanta. I bent two sales people's (s'?) ear(s?) for probably an hour about various questions I had. Then, I ordered from Amazon, saving something over $150, about half of which was the sales tax not collected by Amazon. I still feel guilty, though not as much - I needed a belt lens case and went to Showcase. $39.95 plus tax! Wal-mart had the case for $19.95 (plus tax), so I enriched Wal-mart stock holders rather than the owners of Showcase. Have Anderson's in Naperville order it for you. That way you enrich local coffers and you pay sales tax. some years back we went to hickory nc and bought a bed. a really really nice bed. and had it shipped to florida. about two years later they came after us with both barrels flaring demanding their money (florida). no "sorry you might not have known you owed this" or "please", no, demanding we send them the bill of sale which we no longer had and a check for 6% of it. i think we finally sent them two hundred bucks and they went away. now i fear they will come after me for bead tax!!! Well...how about buying it from an local independent bookstore? When you buy local, something like 64% of the money you pay stays in your neighborhood.